Chatting with Christine recently about an upcoming project she’s working on really got me thinking. I love being able to work with some talented, creative and very giving people. I meet some wonderful people in this line of work. She is making something special (shh… it’s under wraps for now I think) for a group soon soon and clay was going to be her choice. 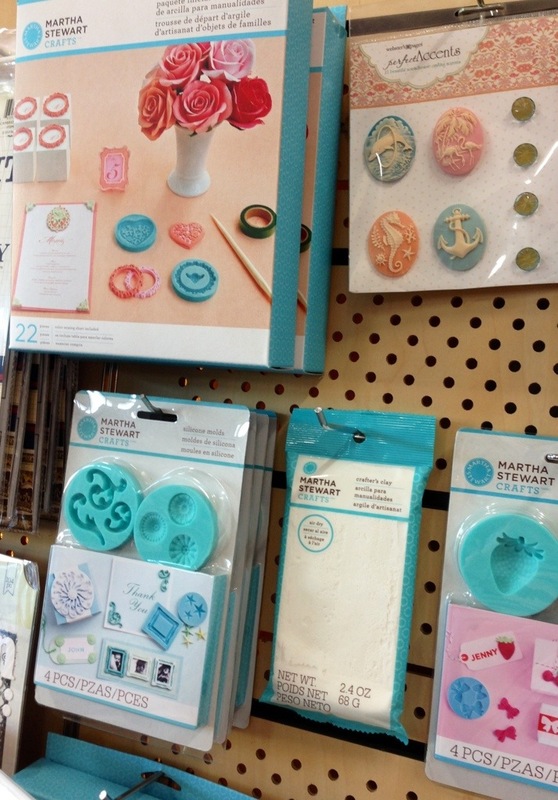 Polymer clay has been very popular lately, especially with the latest tutors in town, but we got to thinking and decided Martha Stewart’s Air Dry Clay was the go! This is pretty cool stuff- see the video link below on how to use the clay, products available and some quick demos. This has been in store since last year, Child #4 has had a play with my set and come up with some fun things. It’s a terrific product and certainly worth looking at if you are in the market for some hands-on fun. Here’s the video from CHA – shows you all the moulds and how easy it is to mix colours and manipulate. I hope Christine’s project turns out wonderful and she enjoys working with Air Dry. This reminds me of Andrew and our cat Pirate. Just love it. The kids were cracking up. Hope this works. I haven’t posted a video before.